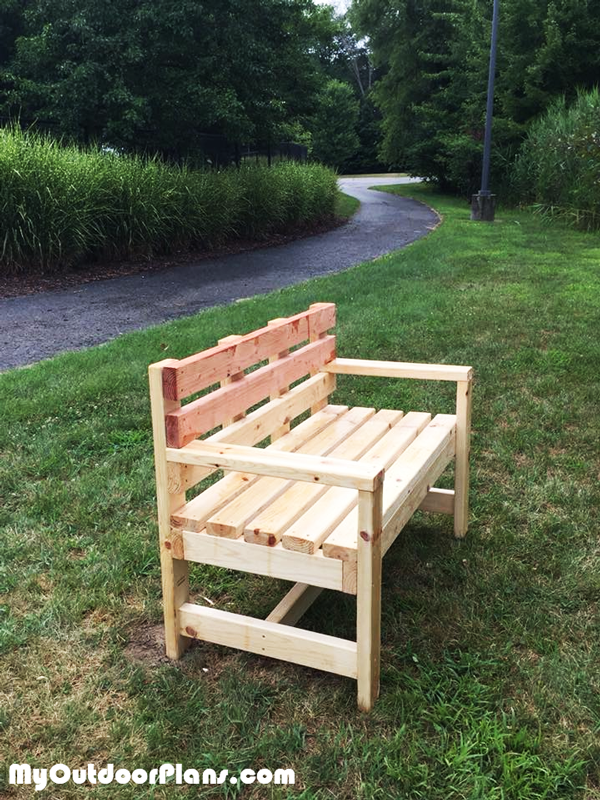 My son picked your plans to build his benches for his Eagle Project at his high school’s memorial garden. It took him and his Troop about four hours to build the two benches. Everyone remarked at how sturdy the benches were and at how nicely they compliment the memorial garden. Clear-coat water proofing will be applied soon.